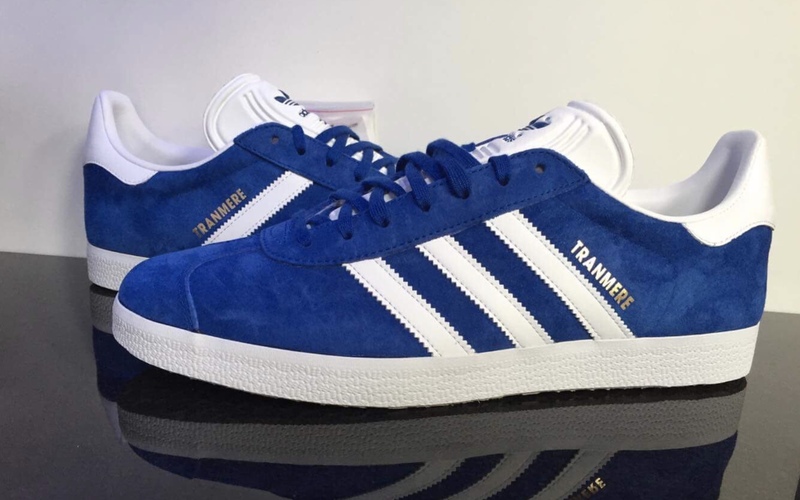 The Tranmere Rovers Trust is giving fans of Tranmere and footwear the opportunity to purchase a unique and limited-edition pair of Adidas trainers. Posts on social media by the organisation late last week revealed the news along with photographs of the trainers. We must say, they look pretty smart. They’re set to be available in a range of sizes, and prices are yet to be confirmed. However, they will be strictly limited edition, with only 50 pairs available to pre-order. There will also an opportunity to win a pair should you purchase a season ticket. Exact details are expected in the coming weeks, so keep an eye on the Trust website and social media accounts for more details. The trainers will be the latest clothing product released by the Trust, who have in the past created unique t-shirts, polos, jumpers and scarves, offering a variation from standard club merchandise. You can view the current range of product on the Trust website, including Awaydays t-shirts, and tops carrying designs featuring artwork of The Wembley Years, The Cowsheds and past TRFC shirts. Visit the Tranmere Rovers Trust website.